Brethren Cemetery, Brethren, Manistee, Michigan. 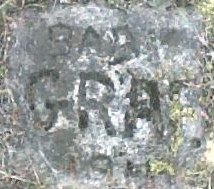 The above gravestone is for Baby Graf who died 5 December 1911. This gravestone can be found next to the grave of Valentine and Nancy (Mast) Graf. One might assume that it was a child of Valentine and Nancy Graf, but it is their grandchild. The baby Graf buried in Brethren Cemetery was the female child of Henry Graf and his wife, Effie White Graf. Rest in peace, little one. Where in the World is Catherine McGee Watt? One of the first places genealogists look for information on their ancestors is in census records. United States Census records can be found through Family Search and Heritage Quest for free. Heritage Quest is available through many local libraries. I am compiling that information for my ancestors in table format, once a month. This month shows where Catherine McGee who married David Watt can be found in the Census of Canada and United States Federal Census. "The most beautiful sight I think I ever witnessed up to this time of my life occurred on the voyage home when our ship entered New York Harbor and for the first time I saw the “Statue of Liberty.” What excitement to finally be coming home to see Mom, Dad, and all my friends. I was given a two week furlough before an assignment at Fort McClellan, Alabama as a physical Training and Bayonet Instructor. We all figured it would only be a matter of time before we would be heading to the Pacific Theater. I did not have enough points to get out at this time. While at Fort McClellan I also coached and played on a company basketball team in the evening for recreation. We didn't have a very good team. 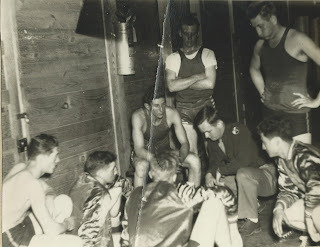 At the end of the season there was a post championship tournament in which the 7 regiments stationed there selected all star teams from their regiments. Colonel Reeder the Regimental Commander of the 7th Regiment of which I was a member asked me to coach the team which I gladly accepted. We had two weeks to practice, pick our team and get ready for the Tournament. 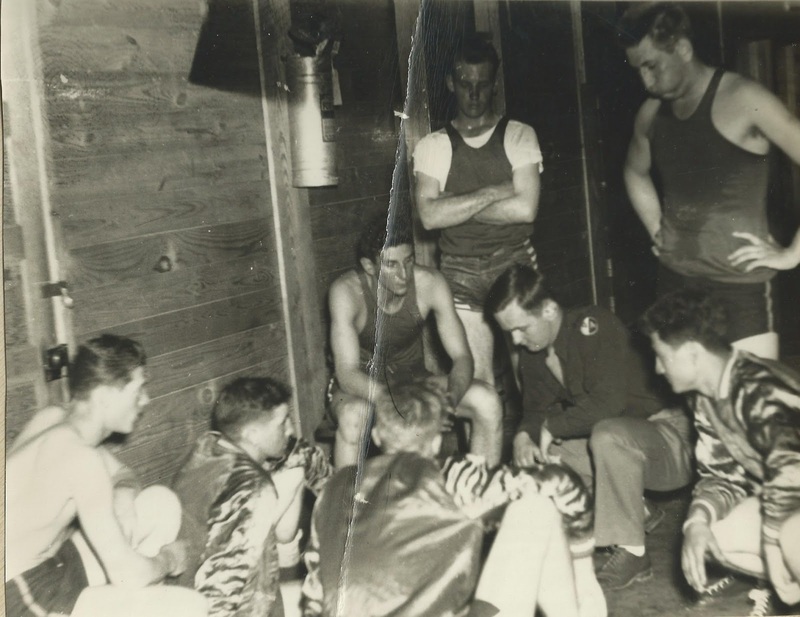 The 3rd Regiment won practically every year and were heavy favorites as they had some college players including one who played some at Notre Dame. I was pretty discouraged when I held our first couple of tryouts as there seemed to be hardly any talent at all. 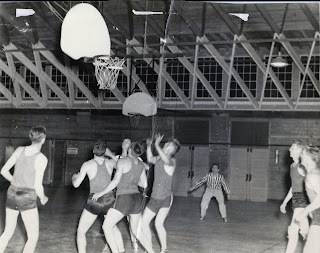 Then one night I heard a knock on my door in the Officer’s quarters and a Captain from another company in our Regiment said he just got a shipment of new trainees fresh out of New York high schools and they wanted to play basketball and was there any openings. I would have accepted anyone at this time and told them to report to the gym the next night at 7 o’clock. 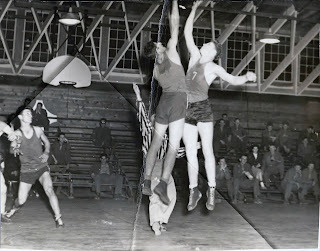 5 boys reported and all of them had either played together or against each other in New York city schools. WOW ONE TRIP UP AND DOWN THE FLOOR AND I HAD MY STARTING FIVE. 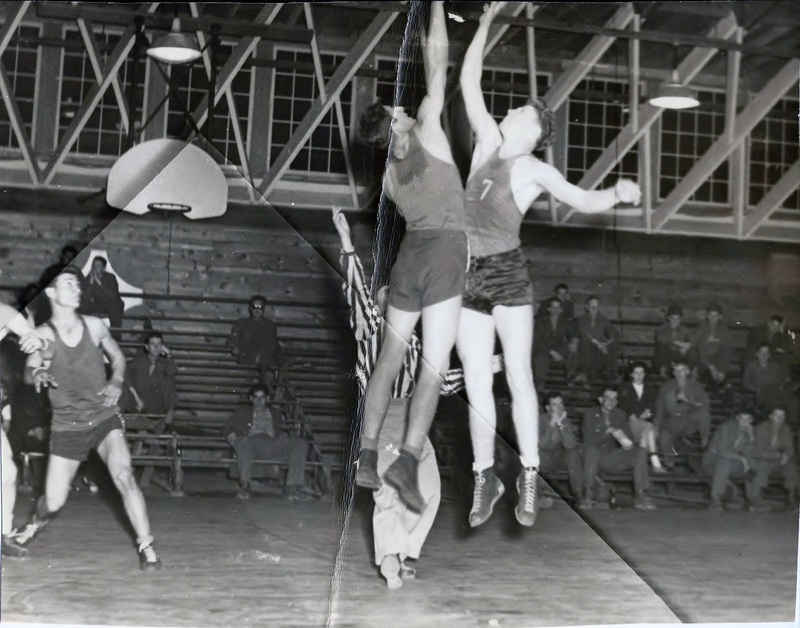 Jack Gilcrest was a 5-10 guard who could shoot the eyes out of the basket. An Italian lad named Pommerano was 6-2 had all the moves in the middle, shooting, passing, and rebounding. The other 3 boys were equally impressive and they blended together as a team as if they had played together all their lives. To make a long story short we won the tournament breezing handily through the first two games and whipping the 3rd Regiment in the finals by 2 points. Needless to say I was, along with the team, the Toast of the Regiment as a result. My biggest contribution was probably staying out of the way and letting them play. I truly believe this experience was a catalyst for launching my coaching and teaching career at Western Michigan University in Kalamazoo following my release from the service." Jim Sanders at Hidden Genealogy Nuggets website and blog has created the Genealogy by the States blogging prompt, suggesting each week we blog about an ancestor or one of our families that have a connection to that state. This week's state is Maryland. My Maryland research has been concentrated in one area of Maryland, Frederick and Washington County. 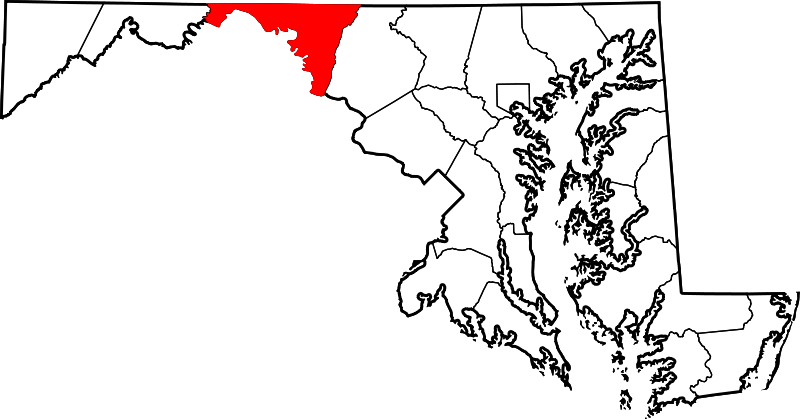 Frederick county was formed in 1748 from parts of Prince George's county and Baltimore county. Washington county was formed from Frederick County on 1 October 1776. 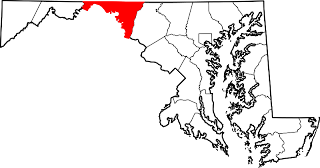 These counties are in the western part of Maryland. Thomas Jefferson Begole, the son of William Rivers Begole and Rachel Starr, who was born about 1776, in Maryland. I have seen the Begole name spelled as Begold, too. Ann Matelda Nancy Bowles, the daughter of Thomas Bowles and Eleanor Price, who was born about 1783, in Maryland-possibly Hagerstown. Thomas and his wife moved to Steuben county, New York prior to 1814 when he settled land in Wayland, Steuben, New York. Most of my Maryland research was done at Allen County Public Library in Fort Wayne, Indiana. They have a nice selection of Maryland resources. There is a genealogy of the Bowles family by Thomas Farquhar, which I question the accuracy of information in it, so use with caution and verify everything. The tombstone below was found in Vermont Cemetery, Sylvan Township, Washtenaw, Michigan. 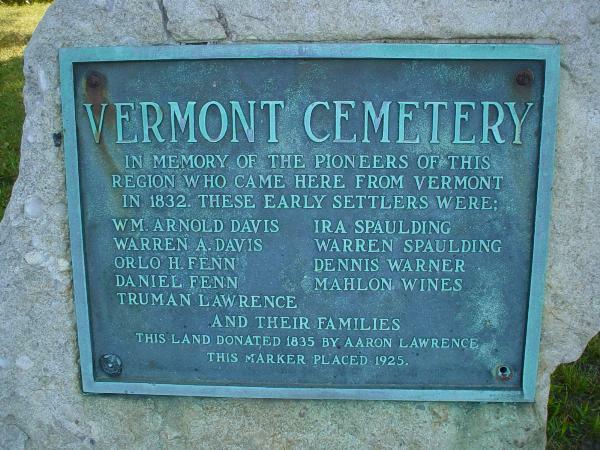 It is a small cemetery that is the burial ground for what was known as the Vermont Colony in the Michigan Territory around 1832. Orlo H. Fenn traveled to the Michigan Territory via the Erie Canal from Shoreham, Addison, Vermont, settling in Sylvan Township, Washtenaw, Michigan. Orlo H. Fenn, the son of Daniel and Hulday (Rowley) Fenn, was one of the first settlers to the area. A stone commemorates those early settlers at the entrance to the cemetery. Orlo H. Fenn died 1 July 1876 at the age of 67 years. He was a farmer who died of brights disease, a disease of the kidneys. Do you have an ancestor you would love to have more information on? Daniel C. Fenn is one of mine. I hesitate to write this ancestor biography because I have so few primary sources for him, but writing helps me see where my research is weak and what I am missing. He has been one tough ancestor to research. I have been collaborating with another Fenn researcher over the years with little success on both our parts. The Genealogical Register of the Early Families of Shoreham, Vermont states that Daniel C. Fenn was born in 1823. This year agrees with the United States Census records. On 12 September 1850, Daniel is listed as age 27; 21 June 1860, he is 36; and on 30 July 1870, Daniel is 46. If the census ages are accurate, it is possible that Daniel C. Fenn was born between 31 July 1823 and 12 September 1823 in Vermont. Daniel C. Fenn is the son of Daniel Fenn and Huldah Rowley. 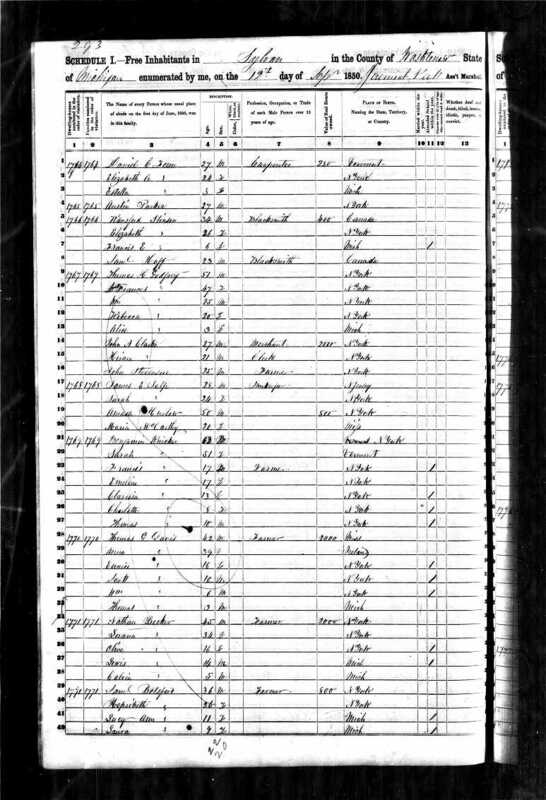 Daniel Fenn, the father, is listed in the 1820 and 1830 United States Census for Shoreham, Addison, Vermont. It is possible that Daniel C. Fenn was born there, but further research is needed. Daniel C. was the eighth of nine children born to his parents: Orpah, Tully, Betsy, Aminda, Orlo, Daniel C., Abel, and two other females. Daniel C. Fenn moved to the Michigan Territory with his family in the Spring of 1833, at the age of nine. Daniel C. Fenn's brother, Orlo H. Fenn, moved to the Michigan Territory the previous year via the Erie Canal. Did Daniel and Huldah and family travel via the Erie Canal? Daniel C. Fenn, age 21, married Jane E. Poor, age 16, on 4 March 1846 in Washtenaw County, Michigan. Daniel and Jane Fenn had one daughter, Estelle. Jane E. Poor was the daughter of Samuel Poor and Eleanor Begole Poor. Jane E. Fenn died shortly after the birth of her daughter at the age of eighteen, in 1848. 4th day of March A.D. 1846 by me. Daniel C. Fenn married Elizabeth Ann Poor, Jane's older sister, sometime between April 1848 and 19 November 1850, when their first son, Zalton, was born. I have not been able to find a marriage record for Daniel C. and Elizabeth Poor Fenn. Daniel C. and Elizabeth were the parents of five children: Zalton M, Tully Daniel, Osphie, George and Hattie Lodema Fenn, of Hattie's Bible fame. 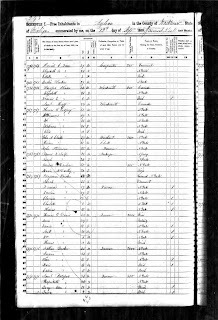 Souce: 1850 U.S. Census, population schedule, Sylvan, Washtenaw, Michigan, p294B, dwelling 1764, Daniel C. Fenn Head of Household; digital images, ancestry.com (: accessed 11 October 2011); Original data: Seventh Census of the United States, 1850; (National Archives Microfilm Publication M432, 1009 rolls); Records of the Bureau of the Census, Record Group 29; National Archives, Washington, D.C.
Daniel C., Elizabeth A., and Estella were living in Sylvan Township, Washtenaw, Michigan in 1850. Daniel was working as a carpenter. His real estate was valued at $350, which was low compared to his neighbors. Daniel C. left the carpenter trade sometime before 1860. He was working as a farmer and can be found in the 1860 Non Population Schedule in Sharon Township, Washtenaw, Michigan. He had 50 acres of improved land; 50 acres of unimproved land with a cash value of his farm being $2000. Daniel C. had 1 horse, 2 milk cows, 2 working oxen, 10 sheep, and 5 swine, for a value of $350. Additionally, he had 180 bushels of wheat, 175 bushels of Indian corn and 60 bushels of oats. He did not have any rye, rice, tobacco, cotton, or wool. Daniel C. and Elizabeth moved their family to the next county west, Jackson, prior to 1870. He was no longer farming, but was working as a traveling agent. The 1871 Jackson, Michigan City Directory lists Daniel C. as living at 54 First St., Jackson, Michigan. He is still working as a traveling agent. Definitive proof as to the date of Daniel's death has not been found. Carol, a Fenn researcher, sent to Michigan Vital Records, for a death certificate and they were unable to locate one. I have researched at Jackson Public Library and Jackson Genealogical Society Library to no avail. I searched Jackson newspapers for the time period, but could not find any record of death. The only date I have for Daniel C. Fenn's death is February, 1873. This date is recorded in his daughter's, Hattie Fenn Glover, Bible. I have seen a death date of 1 May 1862, but this is inaccurate as Daniel C. is in the 1870 Census record. His wife, Elizabeth, is listed as widowed in the 1880 Census. Daniel's parents, Daniel and Huldah Fenn, his first wife, Jane, and brother, Orlo are buried in Vermont Cemetery, Sylvan Township, Washtenaw, Michigan, but there is no record of Daniel C. being buried there. At this time his burial is unknown. Even though I have some gaps in my research, I know where I need to look next. I would like to explore land records for Washtenaw and Jackson county, I would like to look for other 1870's city directories, and I would like to find a probate record for Daniel C. Fenn. I would like to see what records are available for Shoreham, Addison, Vermont in the 1820's, too. 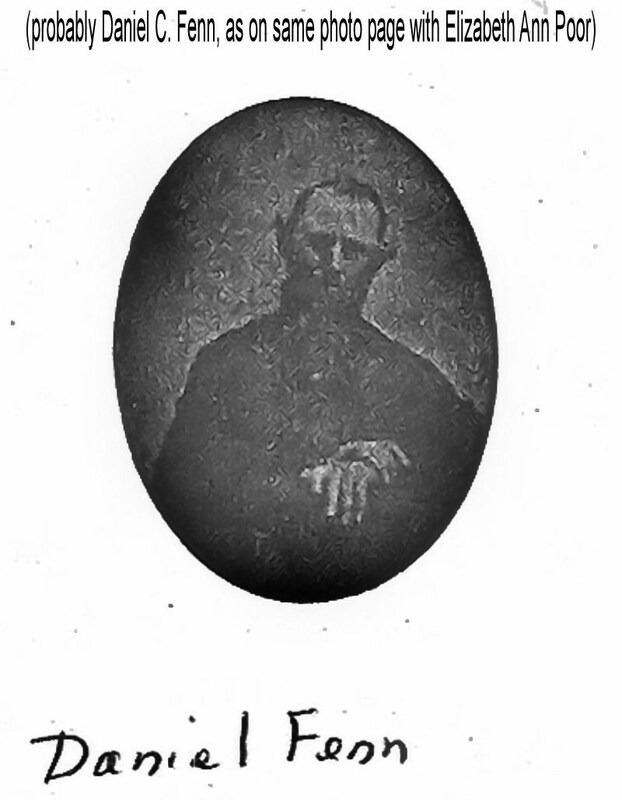 The above photo is believed to be Daniel C. Fenn. I received it from Carol, a Fenn researcher. We don't have proof positive it is Daniel, but it was on the same page as his second wife, Elizabeth Poor Fenn. If you are a Fenn researcher, please contact me, you never know what we can figure out together. I have said before that one of the best parts of blogging is the people you come in contact with, relatives and others. I was contacted in December by Sherry, a Glover researcher. Sherry was looking for information on John Bates Glover, born in 1809 in Barnwell, South Carolina. Sherry's and my Glover line do not connect, that we know of. She thought maybe I had come across information that might be useful to her in her research. Unfortunately, I wasn't able to help her. I haven't come across her Glover line in my research. Sherry has given me permission to post her Glover information on my blog in hopes that other Glover researchers will find it. If you would like to be put in contact with Sherry, please leave a comment or contact me by email, which can be found on the right panel of my blog page. Ran across your website while doing my genealogy research & although I do not believe we are of the same Glover line, I would like to ask you if you could assist me on finding a John Bates Glover born in 1809 in Barnwell, SC. We have enough samples now in the Glover DNA project from some of John's living great grandsons to determine that these men are descendant of the William Glover/Mary Norwood line out of Surry Co., VA/Granville Co. NC, so who are they...might they be the parents of John Bates Glover? I am told that the place where his birth certificate would have been housed was destroyed by a fire yrs. ago, so no one in our Glover linkage has been able to get beyond John Bates Glover. Lucy Ann Courtney's parents were John Parum and Nancy Kent Courtney of South Carolina. This line goes back to Robert Courtney born in 1650 in Branton, England. John Parum Courtney's parents were Jonathan and Cecilia McQueen Courtney. 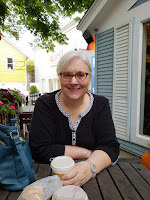 Jim Sanders at Hidden Genealogy Nuggets website and blog has created the Genealogy by the States blogging prompt, suggesting each week we blog about an ancestor or one of our families that have a connection to that state. 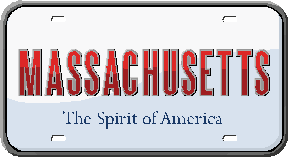 This week's state is Massachusetts. My roots run deep in the state of Massachusetts, tracing back to Colonial Times. Today, I will concentrate on my earliest Massachusetts ancestors. The table below gives the names and residences of my Massachusetts ancestors in Colonial times.